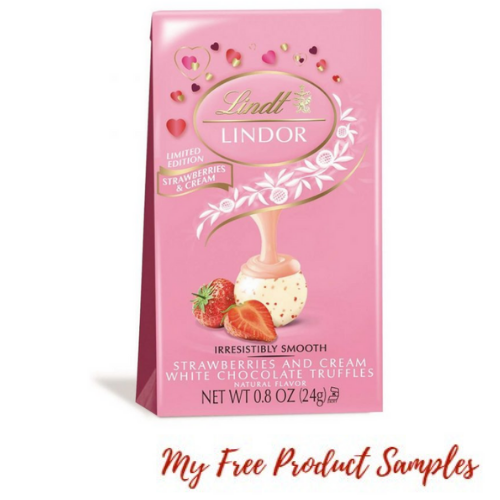 Grab a FREE Bag of Lindt Lindor Chocolates with this printable coupon. The 2 count bag of Strawberries and Cream White Chocolate Truffles is only $1 at Target so you can score this as a FREEBIE with the coupon! The Strawberries and Cream White Chocolate Truffles are a limited edition available only for Valentine’s day so check them out for FREE!